It would be understandable if Kyle Lowry couldn’t help feeling at least a little ill will towards Kawhi Leonard. After all, Leonard is result of the DeMar DeRozan trade which deeply upset Lowry this past summer. But the Raptors floor general is much more measured than that. He knows none of it was Leonard’s fault, and he has fully embraced his newest teammate, even to the point that he wouldn’t be hold it against Leonard if he left in the offseason. Much like a vegetarian’s refrigerator, there is no beef here. 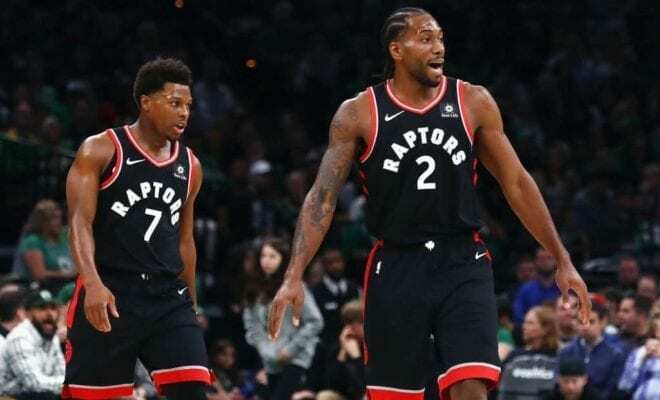 “I’ve dealt with this before with DeMar — the speculation — and I will be happy for Kawhi Leonard when he makes his decision,” Lowry told The Athletic’s Sam Amick. Lowry used the same interview to further defend his teammate, shooting down the notion that Leonard rarely talks to his teammates. Lowry’s comments come as speculation surrounding Leonard’s upcoming free agency begins to intensify. By all reports, the Clippers loom as the biggest threat to Toronto’s chances of keeping their number one guy. Whichever way he’s leaning, Lowry just wants you to know he’s cool with it.